I periodically create 7-day meal plans for weight loss for my coaching clients. Knowing exactly how much and what to eat at each meal is really helpful, especially when beginning a low carb eating style. 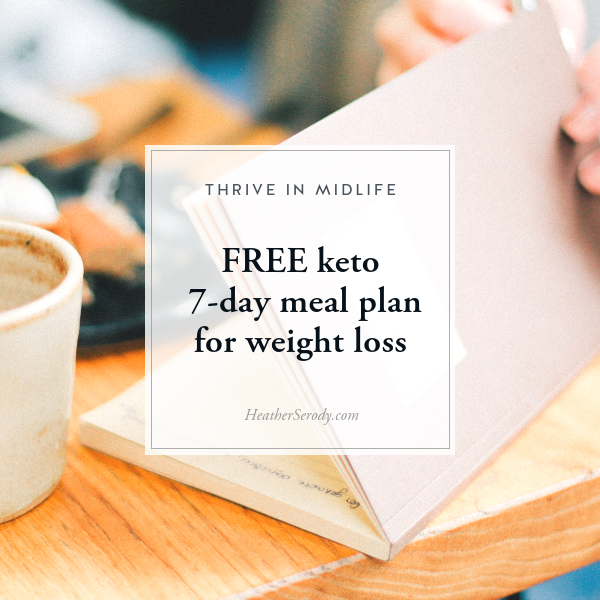 It allows a transition into ketosis (fat-burning) without second-guessing yourself or having to spend a bunch of time tracking your macros and making sure your calories are on point. If you're curious about the science behind eating keto for weight loss, click here to read my 101 guide for beginners. I'm making my signature 7-day meal plan for weight loss available to you for FREE when you join my email subscriber list. 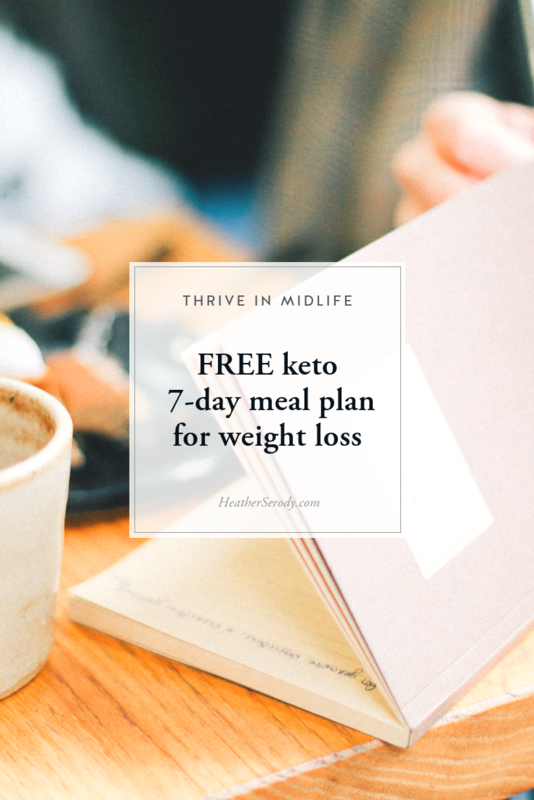 You'll get the 7-day meal plan along with access to the entire Resource Library which is full of free downloads, cheatsheets, checklists, guides, and e-books all designed to make your life simpler, help make low-carb nutrition easy and simple, and help feel your best. Plus, you'll get exclusive content via email 1-3x a month that you won't find anywhere else on the site. Click the link below to sign up, and you'll get email instructions on how to download your 7-day meal plan for weight loss right away.